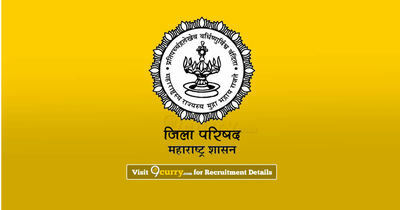 Zilla Parishad Maharashtra Recruitment 2019 - Apply Online for 13,521 Health Worker, Supervisor & Other Posts in Maharashtra. Online Applications are invited by Zilla Parishad Maharashtra from 26 Mar 2019 to 16 Apr 2019 for 13,521 vacancies. 18 years to 38 years as on 01 Apr 2019. Drug production Degree in Drug production. Health Service (Men) (40% of other general candidates) Secondary Examination Pass in Science. Health Service (Female) Those who have been enrolled in a qualifying subsidiary and Maharashtra Nursing Council or Vidarbha Karyachar Parishad or who are eligible for such registration. Anganwadi Supervisor Graduate Degree in Home Science/ Institution/ Child welfare/ Sociology. Extension Officer (Agriculture) Degree in Agriculture with relevant experience in Agriculture Work. Extension Officer (Statistics), Gram Panchayat Degree in Statistics/ Mathematics/ Science/ Agriculture. Laboratory equipment Degree in Chemistry or Biology or Botany. Contract Gramsevak Senior Secondary Examination Pass or Engineering Degree (3 years). Civil Engineering Assistant Secondary Examination Pass and 01-year Diploma in Civil Engineering. Senior Assistant (Clerk) A nomination will be made by candidates who are holding the degree of the Statutory University. Senior Assistant (Accounting) Degree in Accountant from recognized University. Junior account officer Any Degree from recognized University And any government office, merchant partner organization or 05 years work Experience. 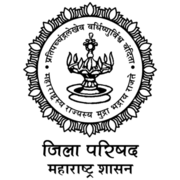 Eligible candidates may apply online at Zilla Parishad Maharashtra's website (direct link is given below) from 26 Mar 2019 to 16 Apr 2019. Read the information carefully & Click on "Select".